Havas Southern Africa recently won a multi-year contract with The Blue Train to become its full-service marketing and communications agency partner in South Africa. The iconic South African “Blue Jewel,” as the luxury train is affectionately known, joins the Havas stable after being without an agency for more than a decade. “Coming out winners from what was a thorough tender process was one of our shining moments this year. It is testament to the talent and dedication of our integrated team across the board. We are so very proud, and very excited to be embarking on this journey with The Blue Train,” said Lynn Madeley, CEO of Havas Southern Africa. “Handling such an iconic brand is more than just work – it’s a responsibility to South Africa because the success of this partnership impacts the bottom line of a business South Africa is invested in. 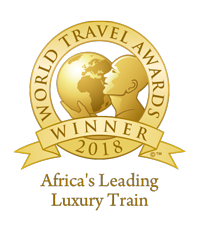 For over 65 years, The Blue Train has redefined and finessed ultimate rail luxury, winning numerous global awards that cement its reputation. It is a challenge we are up for, to carry on that legacy of excellence and continue elevating the ways in which the brand comes to life across many communication touchpoints,” she concluded. Havas will handle all marketing and communications activities, from strategy to creative, PR and digital. The integrated team will support the strategic move to reposition the brand and support its existence as a business unit within the Transnet umbrella. “We look forward to working with them on moving the brand forward – elevating the way the brand engages our target audiences and supporting our business imperative. This is going to be an exciting couple of years,” he concluded.